I remember my week as a Jump Start camper very vividly. Some people think that’s crazy because 6th grade was 10 years ago for me! But the reason it stands out so clearly in my mind is because it was — and still is to this day — one of the most impactful weeks of my entire life. Now, I’m back at Lake Ann Camp preparing for summer to start, and the best part is, I get to be the Jump Start Program Director’s Assistant. For the last two summers, I’ve been a counselor at Lake Ann, and one of the highlights of both years was my two weeks spent as a Jump Start counselor. 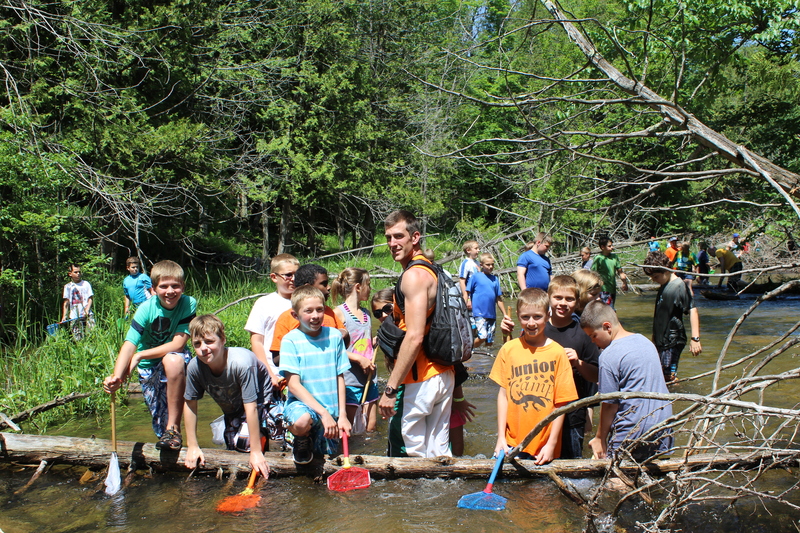 The river walk is one of the highlights for all Jump Start campers! We love the curiosity and adventurous nature of 6th graders. They come to summer camp with tons of questions about life, creation, and people. That’s why Jump Start is the perfect program for a child heading into the 6th grade. We designed the program intentionally so 6th graders can be with their peers. We feel this is important instead of being in with older, more intimidating, campers. They’re put into a comfortable setting where they are invited to have fun, learn and explore. 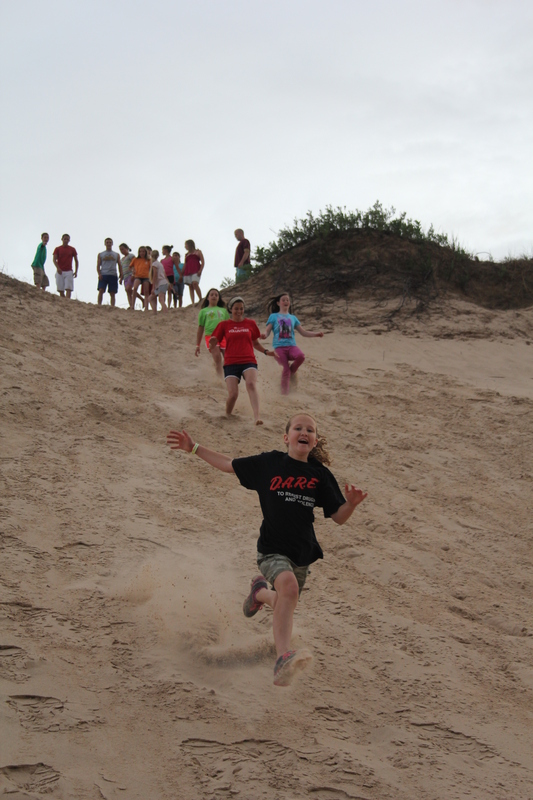 The dune climb is ok…but the dune run-down-as-fast-as-you-can is AWESOME! We will be taking campers out into nature to show them the creativity of our God and teach them valuable life lessons through hands-on learning experiences. Every day, campers will be participating in different activities that many of them have never had the opportunity to experience before! Throughout the week, they will be going on a tube floats, a river walk, jumping in a bog, fishing off a dock, “Blobbing”, climbing sand dunes, experiencing one of our high adventure activities called “The Flying Squirrel,” and attending daily chapels with great speakers! The reason Jump Start was so impactful in my life was because it was during that week of camp that I accepted Christ to be my Savior. I’m living proof that a 6th grader is capable of making a life-altering decision, especially after learning so much about the glory of God in the Jump Start program. That’s why I’m so excited to see what God is going to do in the lives of the young people that come to our program this summer.